Expert Dog Training in Pittsburgh, and the Surrounding Areas! Pivotal Dog Training offers professional, balanced, reward-based dog training and behavioral problem solving throughout the Pittsburgh area including Monroeville, Plum, Murrysville, Taretum, Cheswick, Harmaville, McKees Rocks, Bethel Park and more! Our dog training programs are successful with dogs of all breeds, ages and temperaments. We are among the most experienced and successful dog trainers in the United States, and we regularly succeed when other trainers have failed. We are veterinarian-recommended because we succeed in creating lasting changes in a dog’s behavior, even when other “experts” cannot! If you have been told that you just have to “live with” your dog’s behavioral issues, or worse, if you’ve been told your dog is beyond help, don’t give up! WE CAN HELP! Our dog training program is customized to your dog and your specific situation. There are no cookie-cutter programs, and no blanket recommendations. We believe in designing a dog training program that works not just for your dog, but for your family and your lifestyle. Best of all, we offer commitment-based dog training. This means that we commit to working with you until we achieve ALL of our training goals! 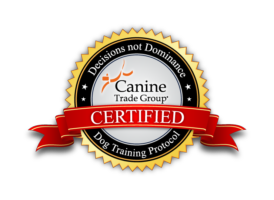 We are certified, professional dog trainer with a track record of success! Our training is REWARD-BASED, which means we believe in setting your dog up for success. Best of all, we teach YOU how to maintain a positive lifelong relationship with your dog. Get Started with Pivotal Dog Training! To build a better relationship between you and your dog, give us a call at 412.533.3947, or contact us using our contact form.